( June 19, 2012, Colombo, Sri Lanka Guardian) A systematic attempt is underway by recently appointed Editor in Chief of Ceylon Today, Hana Ibrahim to frantically lobby media activists groups to refrain from reacting to the summary dismissal of Editor in Chief of the Ceylon Today newspaper, Lalith Alahakon by the management. Ibrahim was formerly treasurer of the media rights group, the Free Media Movement and continues to be an influential member of the group. Alahakoon’s services were terminated last week by the management of the Ceylon Newspapers due to his inability to follow the editorial policy of the management. The Ceylon Newspapers group is owned by DNA National List MP who is yet to present his maiden speech in parliament Tiran Alles. 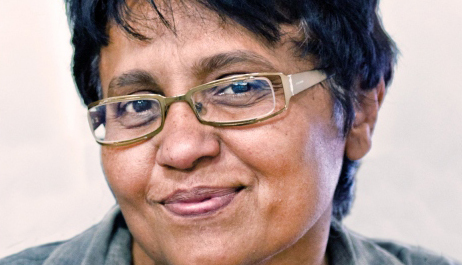 When four senior journalists tendered their resignations in protest of Alahakoon’s sacking last week Ibrahim appealed to the journalists to remain, claiming that she too was disturbed by the developments and commitments were preventing her from quitting in protest and promised to fight hard to get Alahakkon reinstated. However sources say that Ibrahim worked hand in hand with Alles and the management all along to get Alahakoon dismissed. According to sources within the FMM Ibrahim is telephoning media activist groups and urging them to refrain from condemning the actions of Alles’ management saying it was an internal issue. Ibrahim was instrumental in preventing the FMM’s intervention when the Mawbima newspaper fired staffer Shantha Wijesuriya for interviewing Frontline Socialist Party Leader and dissident JVPer Kumar Gunaratne.